CSA stands for Community Supported Agriculture. It is a system in which the customer buys a share at the beginning of the season, receives a weekly allotment of the harvest, and shares in some of the risk. Yields may vary throughout the season. However, with such a diversity of crops, the weekly share is likely to provide a cost savings to the customer. This system helps create stability for the farm and more direct participation for the consumer. What is included in the CSA share? The weekly CSA box will vary throughout the season. The most common crops will be greens of all types (Kale, collards, arugula, tatsoi, lettuce, spinach etc.). These will rotate based on seasonality and a desire to limit repetition. There will be radishes, beets, carrots, potatoes, onions, squash, tomatoes, garlic etc. all depending on the time of year. The CSA will last 22 weeks, from the week of June 3rd through the week of October 28th. The total cost will be $650 which equates to $29.55 per week. The Summer CSA box is intended to feed a family of 4. We will make every effort to provide approx. $30 worth of produce every week. Likely a little less in the first few weeks, and more as the season ramps up. How and when can I get my weekly box? 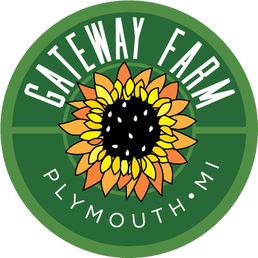 CSA boxes will be available to pick up from our onsite market stand Tuesdays and Fridays during market hours, 12:00 PM - 6:00 PM. Fill out the form below. Pay by check or online.